At an early age, Anthony discovered a special place in his heart for dogs. He saved his first dog at the age of 6, when he brought home to his grandparents a German Shepherd that he found roaming the streets in the Bronx. He appropriately named that dog "King" and with the help of his animal-loving grandparents they found him a permanent home. Anthony has spent the majority of his career in the alternative investment industry and has always felt an innate responsibility to promote awareness and direct charity towards homeless, abused and neglected dogs. 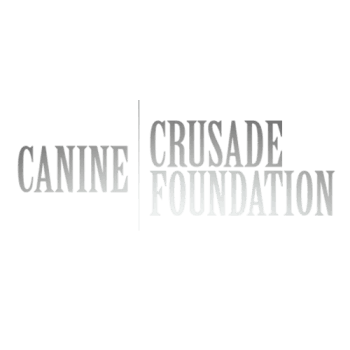 Anthony founded The Canine Crusade Foundation in 2013 with the intent of combining his compassion for dogs with his business expertise and experience to raise capital for a cause he continues to hold dear to his heart. Helene has been in the magazine business for over 30 years. She’s been an avid dog lover all of her life. Her special interests are animal behavior and training, having competed with her dogs in agility and canine nosework. She’s seen firsthand how rescue organizations spend too much of their time trying to raise the funds to support their efforts. Helene hopes The Canine Crusade Foundation will ease that burden. Omar has been obsessed with dogs since he fell in love with Scooby, Scrappy and the Mystery Van. He spends the majority of his time surrounded by Lou (his trusty sidekick) and a family of others including Moses, Penny and Mr. Bentley. Omar (and Lou) founded Broad Peak Advisers, a boutique marketing & advisory firm focused on the alternative investment industry, in 2005. Omar hopes to promote awareness of the brilliance of (and challenges faced by) the smaller dog charities around us. Claudia Kawczynska is the editor-in-chief of "The Bark", the award-winning dog culture magazine that she co-founded in 1997. She is also the editor of three books, including the bestselling anthology, "Dog Is My Co-Pilot: Great Writers on the World’s Oldest Friendship" (Crown). Her expertise on dog culture has appeared in "Esquire", NPR, "Men’s Journal" and "The Washington Post". She has been recognized by "The New York Times" as a leading “thinker and innovator” on the bond between humans and canines. She has served on governmental commissions and was instrumental in the establishment of a 17-acre dog park in Berkeley, California. She was awarded a Hurricane Hero Award from the Humane Society of Louisiana in recognition of "TheBark"’s Katrina coverage. She lives in Berkeley, California, with three dogs, and with the co-founder of "The Bark", Cameron Woo.